Still Dreaming is: Joshua Redman on saxophone, Ron Miles on trumpet, Scott Colley on bass, and Brian Blade on drums. 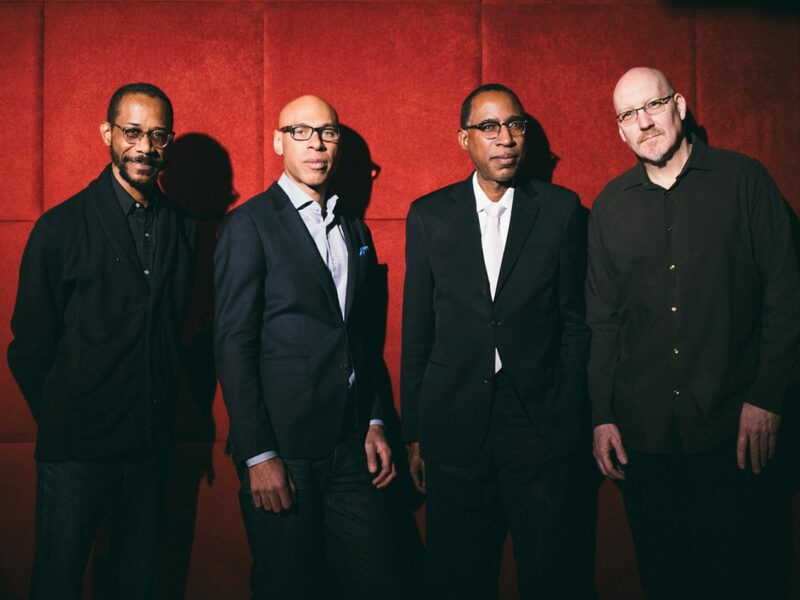 Still Dreaming frontman Joshua Redman never had a shortage of music in his life. His mother was a dancer and his father was the celebrated jazz saxophonist, Dewey Redman, who was a member of the legendary free jazz ensemble, Old and New Dreams, which Still Dreaming honours. In addition to his own early success in music, Redman earned a B.A. in Social Studies from Harvard and was accepted to Yale Law School. However, before going to Yale, Redman left for Brooklyn to immerse himself in New York’s jazz scene and, after winning the Thelonious Monk International Jazz Saxophone Competition in 1991, his career as a jazz musician took off. 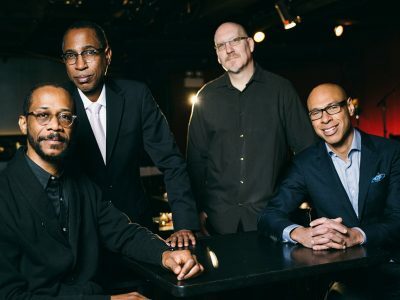 Still Dreaming is comprised of four of today’s most exciting jazz musicians, each with their own unique connection to the original members of Old and New Dreams. Brian Blade was born into the same New Orleans drumming tradition as Ed Blackwell, Scott Colley was a student of Charlie Haden, and Ron Miles studied with Ornette Coleman and has long been influenced by Don Cherry’s playing. Redman is widely respected and praised as an improviser – in fact, one of his solos on the album “The Bad Plus Joshua Redman” was nominated for a GRAMMY for “Best Improvised Jazz Solo”. A reliably innovative musician, Redman frequently choses projects that push him in new directions. His exploration of the piano-less trio (saxophone, bass, and drums) and his collaboration with famously uncategorizable group The Bad Plus are just two examples. 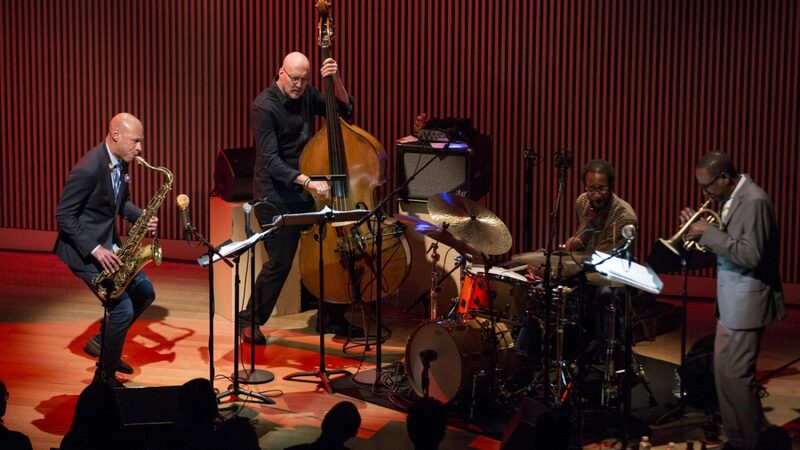 A frequent headliner of jazz festivals, 3-time GRAMMY nominee, co-founder and past artistic director of the SFJAZZ Collective, Joshua Redman has long been an important figure in the world of jazz. Over his career, he has played with countless jazz giants, including Javon Jackson, Billy Higgins, and Pat Metheny – to name only a few. As a group, Still Dreaming has received widespread acclaim. The Guardian named their album Jazz CD of the Month in June 2018, and the project was the subject of an episode of Jazz Night in America. Still Dreaming was released in May 2018 and pays tribute to Old and New Dreams, an iconic group that featured trail-blazing musicians, many of them Ornette Coleman band alumni. Since each member of Still Dreaming has their own connection to Old and New Dreams, Still Dreaming is an especially relevant, sincere, and original tribute. As a child, Joshua Redman first tried his hand at improvising on the recorder. Redman was exposed to many genres and instruments from all over the world before settling on the tenor saxophone. "The heart and soul of jazz is playing what you feel in the moment, and the ‘you’ is a very, very important part of that concept. You’re trying to find your voice and tell your story, but in a way that connects with the other musicians you’re playing with, and with the audience. The great bands of jazz exemplify that philosophy." Still Dreaming plays the Chan Centre on Tuesday November 13, 2018 at 8pm.